New Delhi: Indian Medical Association (IMA) Vinod Kumar Monga on Thursday reacted on the deteriorated air condition of Delhi NCR. He said that the air quality is very bad and could be harmful for the elderly if they go for the morning walk. He also said that the surgical or inexpensive masks can’t stop any pollutant and urged people to use expensive and good quality masks. “Surgical masks don’t help, they can’t stop any pollutants. 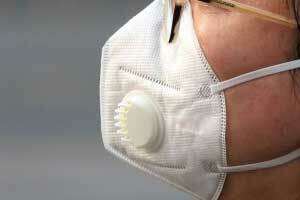 Special masks for pollution are expensive and no mask works over 8-10 hours. It’s better if you use good quality mask. Common masks only have a psychological benefit but won’t help much,” said Monga. What are special mask what is cost were is it available ima please inform it.